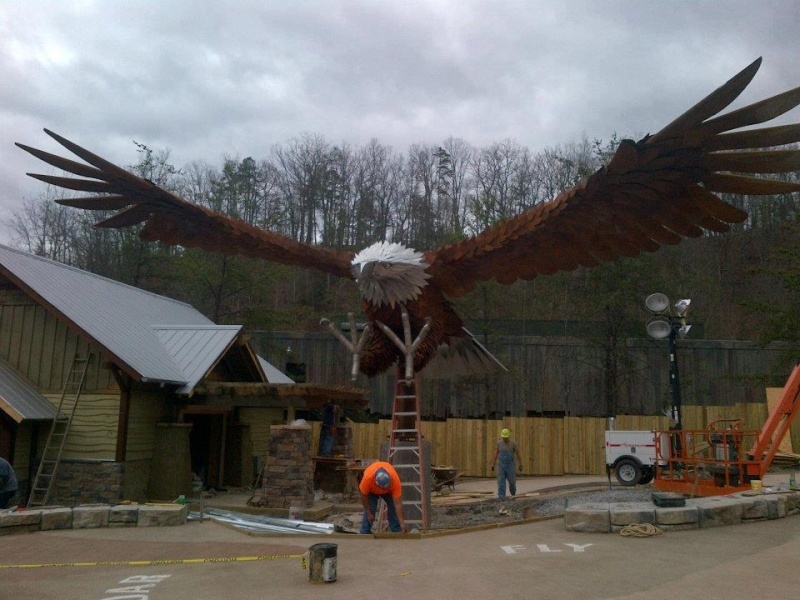 With the track work already complete for Wild Eagle, Dollywood posted a video on building the world's largest Eagle statue. Hats off to Dollywood for adding a world class thrill ride and first wing rider here in the states. As you would expect, this video confirms Dollywood's commitment to themeing. BREAKING NEWS: Wild Eagle trains have arrived! 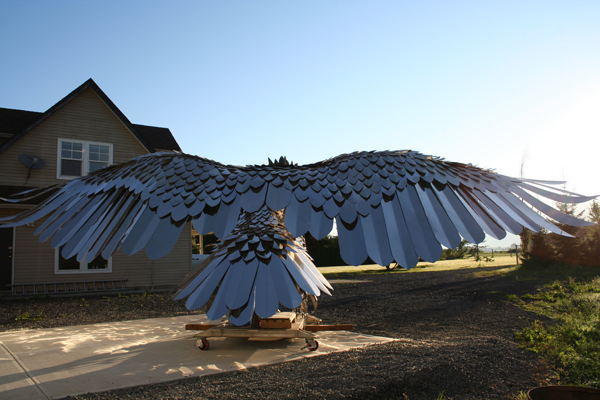 As you see in that image link, "Wild-Eagle-Train"
The image is more of a teaser, but i'm sure soon we'll see the trains so on the track. Testing doesn't seem too far off now. WOW - that is awesome. Can't wait to see more. Thank you VERY much for posting the link. 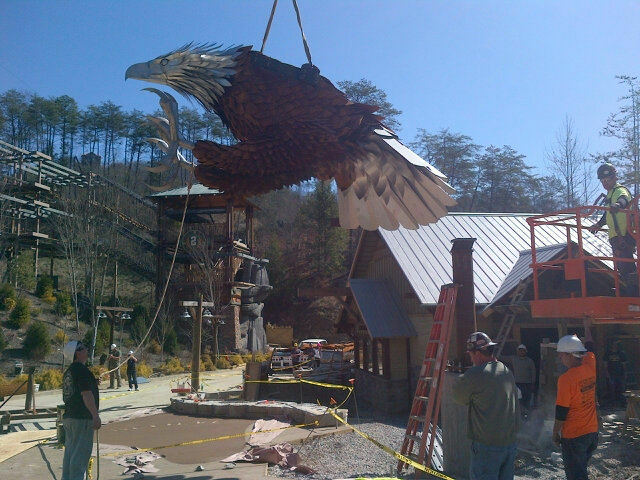 Dollywood has revealed their Wild Eagle Sculpture and it looks amazing imho. 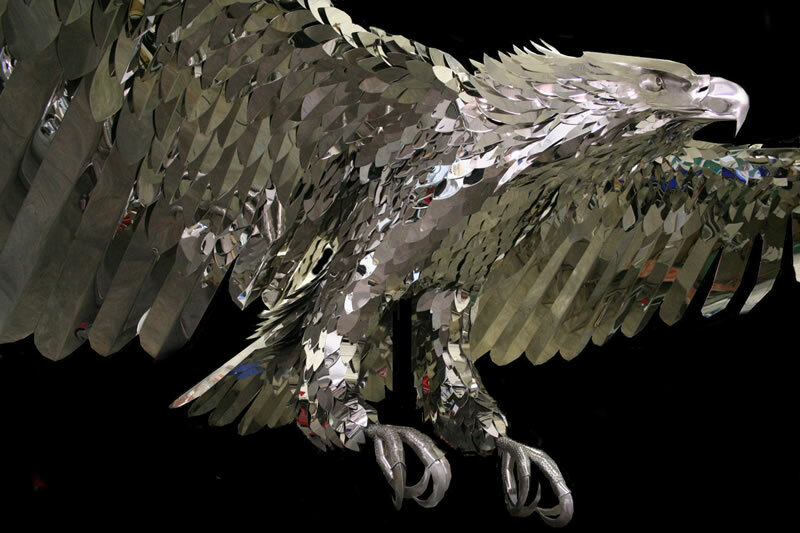 The picture above is of the Wild Eagle stature retracted. 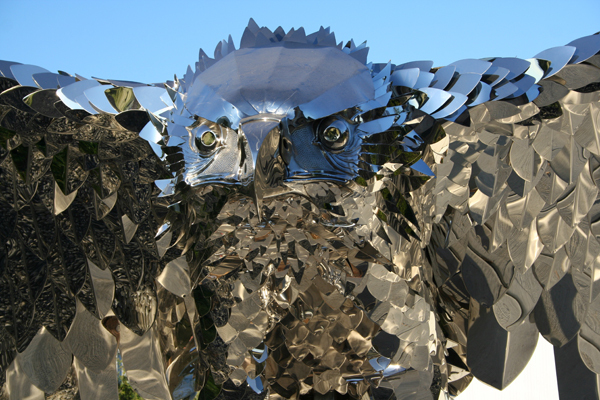 The pictures below show the bird in its full glory. IMHO, this is one very impressive themeing element. This a new behind the scenes video which as some great shots of the trains. 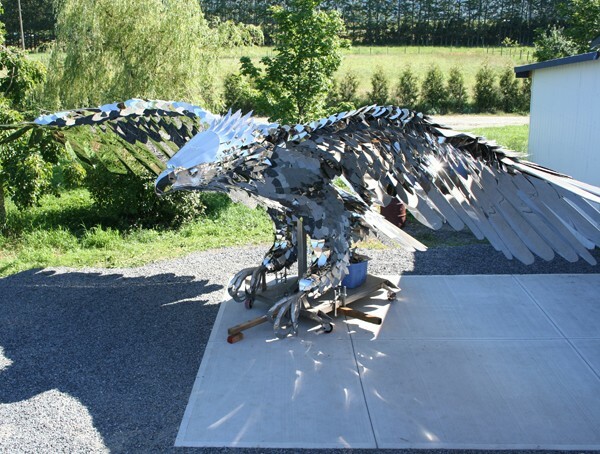 That Eagle sculpture looks amazing I am really loving that!!! I'm not feeling the trains so far though, I thought they would looks much better and way more detailed. Especially when you see the trains for Swarm, Raptor, even X-flight, these WE trains fall flat imo. The Eagle on them looks a little to kiddy and cartoonish almost cheap imo, I'm giving them the benefit of the doubt b/c I might be surprised when the trains are fully assembled and all the details if there is more is added. BREAKING NEWS: Reports state that Wild Eagle has begun testing!! When pictures or videos come out, you will find them HERE. Yes indeed - Wild Eagle has started testing as seen in the video below. I can't believe how loud this beast's B&M roar is, and am very impressed with the ride no doubt. I especially like how the train flies by the camera at the very end. The trains themselves look amazing - well themed and very comfortable. Gotta LOVE the B&M roar! The Coaster looks AMAZING! I wish there can be one closer to the Northeast area. That airtime hill looks like it will be great and interesting to feel Airtime on a Winged Coaster. Well, Skyrush makes up for not having a Wing Rider in the NE. I figured as much. :p I suspect Great Adventure will prolly get a B&M one in 2013 or 2014. The rumored 300 foot one I do not believe will happen at CP. Not 300 feet anyways. Looking great! I suspect that this will also become a major draw, similar to how Skyrush will be when it opens. The ride really looks AMAZING! 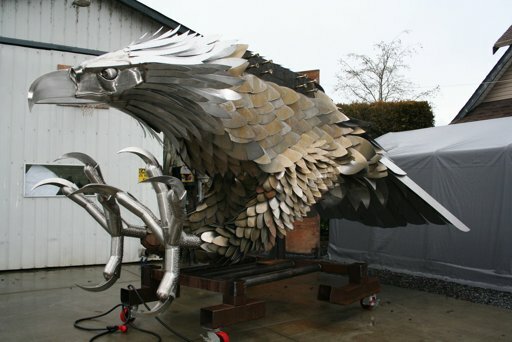 I'm very happy to see B&M come out with the Wingrider concept. Hopefully it'll do many wonders for them. I think we're all looking forward to this design, the question is how will it ride? The US models appear to be more forceful than the one in Europe, so it will be interesting to see the ride experience of those outer seats. WOW, GREAT video, and an awesome view. I love the roar! Opening is now about a month away. Dollywood posted another update yesterday, which you can see on their Egg to Eagle website for Wild Eagle. 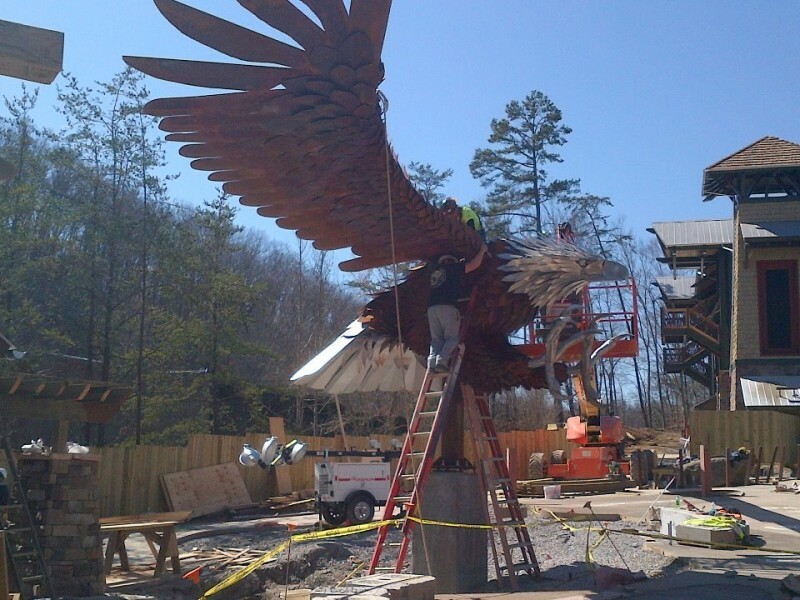 The eagle has landed at Dollywood, and I've got say it is very impressive theming in my opinion. While not directly related to Wild Eagle, a settlement has been reached with the operator of the zip line with Dollywood purchasing the contract. PIGEON FORGE — The legal fight that brought a halt to rides on Dollywood’s newly-installed ziplines has come to a settlement that will see the theme park taking over that operation from the Hawaii-based company that started them. 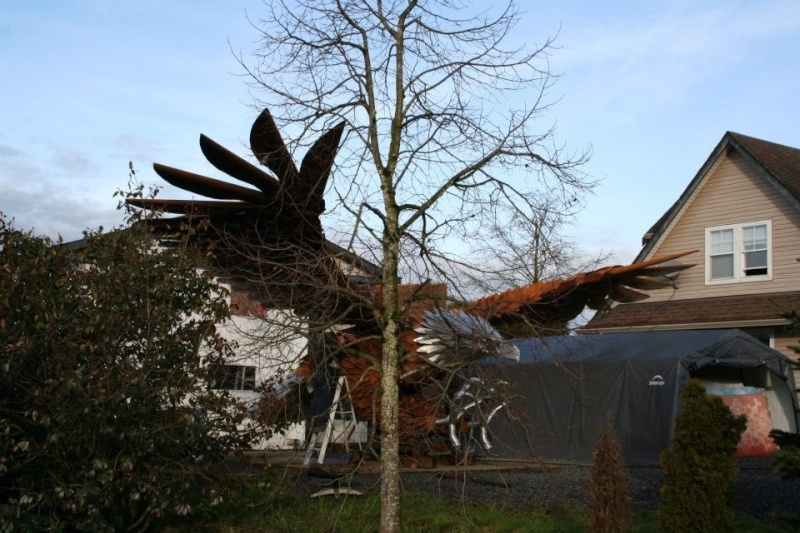 The high-flying attraction was closed for several months in 2011, just its second year in existence, after a tree collapsed on one of the lines, rendering it unusable. That led to a lawsuit in which Skyline Eco Adventures, the tour operator, claimed Dollywood caused the damage with nearby construction, which Dollywood filed a counterclaim holding that the other company breached its contract. Both parties signed a document ordering the case be dismissed with prejudice, meaning it can’t be filed again, but details behind that Feb. 10 filing in U.S. District Court haven’t been released. However, the document does stipulate that no one has accepted any blame. · an invitation to attend the park’s VIP event. 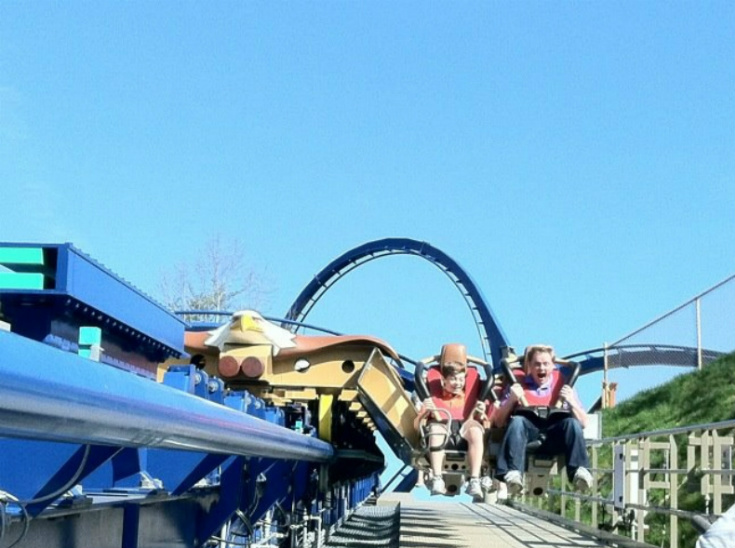 Judging from this picture posted on the ACE fb page, it looks like Wild Eagle is now testing with real people. Can't wait to see some videos, but this picture is worth a 1k words. Thanks for the post! I'm so excited!! No problem and our pleasure. We really strive to keep the community posted on the latest and greatest. Have you guys seen the layout yet? Geez it's so great! Yes, in fact we've seen the testing video on the previous page as well. Yes, I would so ride this if it would be closer. Unfortunately I just don't see getting down to Dollywood anytime soon. 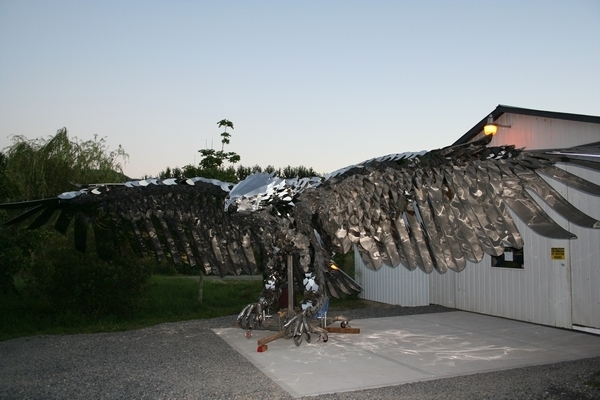 A new picture of the steel Wild Eagle has been posted and I have to say it is VERY impressive. I still can't get over how awesome that statue looks, I'm more impressed by it then the ride...lol j/k but it is a beautiful statue. I'm VERY impressed with it as well. It should look astonishing for the price Dollywood paid for it! 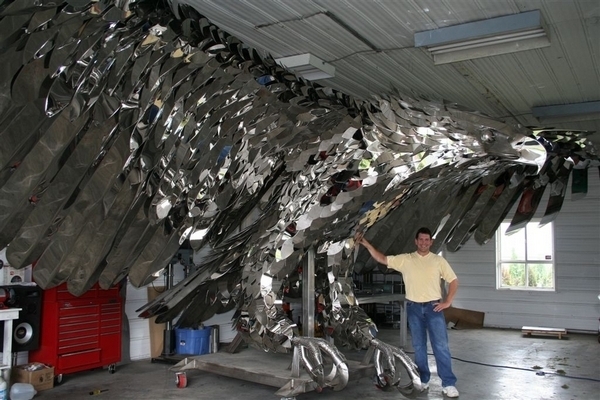 Wow, that is very impressive! This ride is going to be awesome, no doubt. No, it opens in 4 days! I have to say I'm impressed with the video. Not as much vibration as I would have thought and it does have at least one good pop of airtime. If you don't want to click the link, you can watch it below. THANK YOU for sharing. It's a bit faster than a though it would be... Only problem is... it's short but still it's Such an awesome wing rider, and I can't wait to ride it this summer! I hope X-Flight will be just as good, maybe even better! Yes it rides much faster then the first two Wingriders Raptor and Swarm it appears, I too hope X-flight rides just as good if not better since I may have a chance to get to SFGAM before I would be able to hit up Dolly. Wild Eagle looks GREAT! But i think Skyrush will be better!